Mourad Abenabi holds a Bachelor in English Studies from Mohammed V University. His fields of interest include culture, media and communication. During college, he worked as a teaching assistant at Gauss Language Center and was involved in many leadership and volunteer projects both individually and as part of a team. He was also an active member of the English Club at the American Language Center in Rabat. In 2013, Mourad became a member of AIESEC LC Hassan (The International Association of Students in Economics and Commercial Sciences). Mourad represented Morocco in the first edition of YouTube MENA in Rabat. ​Nadia Kamra is from Ouled Teima in the Taroudant Province. She Graduated from Ibn Zohr University with B.A. degree in English Literature. Nadia was a volunteer at the dar chabab (youth center) and the co-founder of the local Linguistics Club. A home, Nadia volunteered as an English tutor at a local high school and helped women learn how to read and write at the local women’s center. 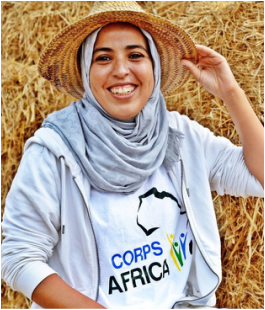 After participating in the “Change Starts Now, Creating Change as Youth Leaders” workshop, she worked at a camp for “Girls Leading Our World” alongside Peace Corps Volunteers. She also co-led an English language summer camp at her local dar chabab. After undergoing Peace Corps training she became a Grassroots Soccer Coach, aiming to engage and empower youth in order to stop the spread of HIV. ​Soufien Merzoug is from Sidi Slimane. He obtained his B.A. 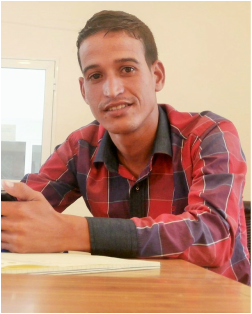 in English Literature in 2012 from Ibn Tofail University in Kenitra and has always been involved in many different volunteer activities with local NGOs and with his friends in personal initiatives. Upon graduating, Soufien held many positions such as an English teacher at a private school, a money transfer agent and a Moroccan Arabic tutor. Soufien also worked as a Language and Culture Facilitator for the Peace Corps in 2014. 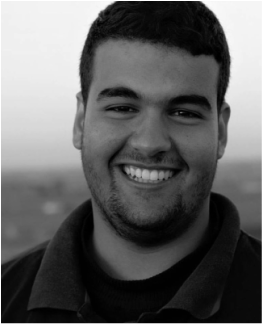 Mohamed Mallahi is originally from Nador and has graduated from Mohamed I University with a degree in English Linguistics and Literature. He has participated in many social and volunteering activities in his hometown. 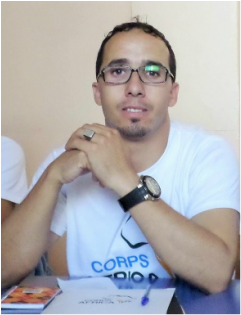 After his CorpsAfrica office, Mohamed joined the CorpsAfrica/Maroc office to serve as the Volunteer Liaison and Administrative Coordinator. Abdelaziz Noujoum is from Kelaat M’gouna. He has been active with different cooperatives and local organizations for more than eleven years. He has volunteered as an English teacher at different schools and summer camps since 2005 and, since 2007 has represented rose products in many exhibitions and bazaars around Morocco. Abdelaziz holds a B.A. in English Studies, Communication and Pedagogy. He is a citizen journalist volunteer and wrote many articles about local and national issues. He is founder of the Let’s Learn Politics project and was president of the Discipline and Self-Management Committee at ITHT Ouarzazate from 2005 to 2007. Soufian Aaraichi is a social worker who has experience working with different non-profit organizations. He is the co-founder and president of Wake Up Agadir, an organization that aims to spread awareness regarding different issues and promoting civil society involvement. Along with his team, he has organized different events and has successfully honed his organizational and communication skills. He is also a coordinator and representative of Travel with Mission and an ambassador for the International Day of Peace. 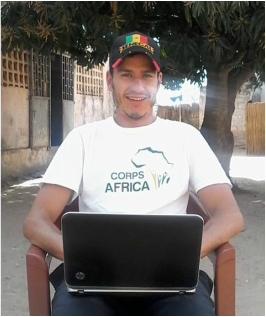 After his CorpsAfrica service, Soufian worked as the Volunteer Liaison at the CorpsAfrica/Maroc office. 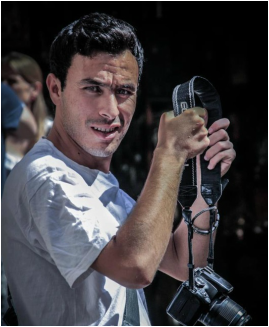 Soufian has a degree in Tourism and Hospitality and has worked with different travel agencies and hotels. Abdelghani Lahjaji is from Bouarfa. He studied English at the local university for a year before returning to work at his bike shop. 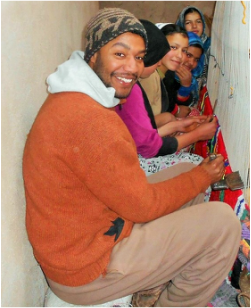 Abdelghani also works as a carpenter. 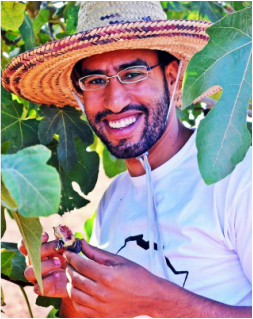 He has been active with many local organizations and tutored Peace Corps Volunteers in Moroccan Darija along with helping them, as part of their projects, build eco-friendly playgrounds for eight local elementary schools. Abdelghani was also an International Youth Foundation leader at Dar Talib. 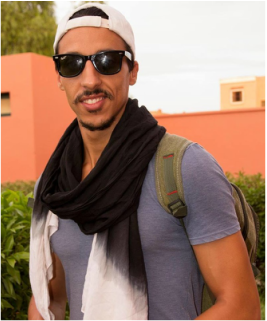 Badr Khouzima majored in Cultural Studies at the English Department of Mohamed V University in Rabat. He has worked with the Dutch Institute as a facilitator for the program “Beyond Your World” with young journalists. He is a member of an organization called “Make Sense,” which hosts events to find solutions for the problems facing social enterprises. He works to stimulate social movements and encourage residents of Rabat to use bicycles as a mean of transportation. He has traveled throughout Morocco several times on a bicycle and participated in a cycling expedition through the Sahara and Mauritania, ending in Senegal. Mohammed El Haddouchi is from Zaio, province of Nador. He graduated with a B.A. degree in English Literature and Linguistics from Mohammed I University in Oujda. He has completed the International Youth Foundation’s “Passport to Success” training program and facilitated some of the sessions at Dar Taliba Zaio. 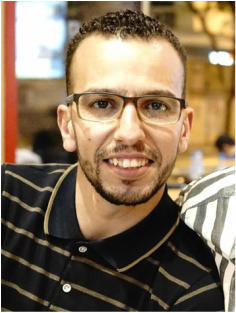 He co-founded the English Literature Club Oujda (ELCO) at the Faculty of Humanities and co-organized and hosted the General Knowledge Competition “ELCO Quiz Show,” which broke the university's record for the best academic organization and the best show in 24 years (according to the Dean of the Faculty). Furthermore, he co-organized and moderated a number of study days and orientation days in his hometown as well as Oujda city. Mohammed presented a paper entitled “Facebook and the Cultural Enclosure” to a group of Space & Culture PhD candidates. He has also volunteered at Lalla Asmae’s Foundation for the Deaf and The Moroccan League for Child Protection (LMPE). Mina Laabadel is from Ouled Taima. She graduated from Ibn Zohr University in Agadir in 2013 with B.A. degree in English Studies majoring in Literature. Since then, she has been doing community work and volunteering – co-leading English camps with Peace Corps Volunteers and leading local and national camps for children and youth. She is a member of the association Ibtisama, “smile,” a linguistic club where she teaches English to first and second year baccalaureate students. Adnane Sounni has a two-year diploma in computer science and a B.A. in English Studies from Moulay Ismail University, Meknes. He volunteered for one year in Al-Majd Association teaching Computer Science to unprivileged students. Most recently, he participated in a Gender Advocate Training program with Peace Corps Volunteers. He is interested in human development, human rights, and international relations. After successfully completing his CorpsAfrica service in Morocco, Adnane moved to Senegal to serve another year as a CorpsAfrica Volunteer. Abderrahim Boulay is from a small village called Arg in the region of Taznakhte, Ouarzazate. He graduated with a degree in English Studies, majoring in Communication and Pedagogy at Ibn Zohr University, Faculté Polydisciplinaire de Ouarzazate. He is a mentor and facilitator at the Embassy-Enactus Young Social Entrepreneurship Program. In 2013, he served as a Georgetown University MEPI Student Leader. 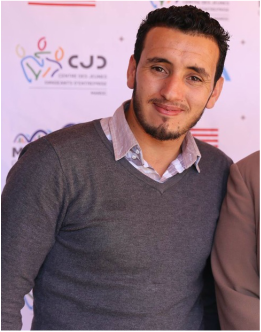 He joined Ouarzazate-eNews as a community journalist in 2012 and is currently one of the founders of the “Youth: Let’s Learn Politics” program. Abderrahim has been active with different cooperatives and local organizations since 2008. He has attended national and international conferences including the Global Entrepreneurship Summit, Human Rights Forum and MATE conferences. Rachida Chadid is from Zaio, province of Nador. 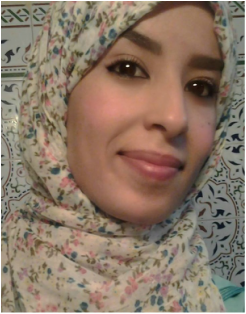 She graduated from Mohammed I University in Oujda in 2012 with a B.A. in English Studies and also has a diploma as a Specialized Technician in Analysis and Computer Science. 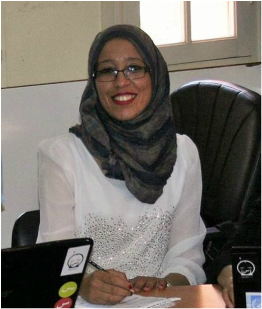 She worked as an English teacher in the public and private sectors and volunteered at an association called “Dar Taliba,” teaching afterschool classes in English for high school students and mathematics for middle school students. She was also a volunteer and facilitator at Zaio English spring and summer camps in a Youth Club where she helped plan and implement the camp schedule and gave presentations to campers. Rachida has traveled to Anvers, Belguim in order to get acquainted with the system of education in the Antwerp context. ​Abdelali Kessas is from Fez, and a passionate photographer and designer. 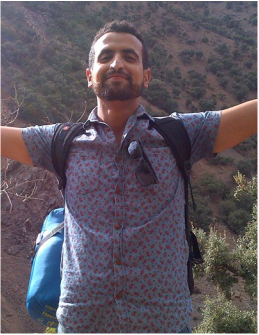 He has volunteered with the ALC-ALIF Community Service Club (2012) at the girls’ shelter in Ziat, Fez and at the SMILE Caravan in Tanakoub and Chefchaouen (2013-2014) as an English and Arabic tutor, organizer and fundraiser. Abdelali has also worked with Megumi Matsubara on a project called “La Chambre Rouge,” which explores the dreams of blind students in Fez, and with Ahmed Bennani on a project called “Transparency,” which is a combination photography and abstract painting. 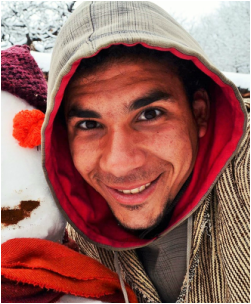 Abdelali is a founding member of the ALC-ALIF Photography Club and has also worked as a freelance tutor and translator with the Fulbright researchers in Fez. He holds a B.A. in English Studies from Sidi Mohammed Ben Abdellah Dhar Lmahraz in Fez. ​Ibrahim Laity is from Casablanca. He is a recent graduate from Hassan II University with a B.A. in Literary and Cultural Studies. His fields of interests include culture, literature and cross-cultural communication. Ibrahim has participated as a delegate for the Model UN Conferences and his most recent participation was in NAIMUN (North Africa International Model UN), which was held in Marrakesh. He is an active member of AIESEC LC ANFA (the International Association of Students in Economics and Commercial Sciences). His most recent professional experience was as census taker in the 2014 edition of the general population and housing census of Morocco.